This post brought to you by DecorPlanet.com. All opinions are 100% mine. 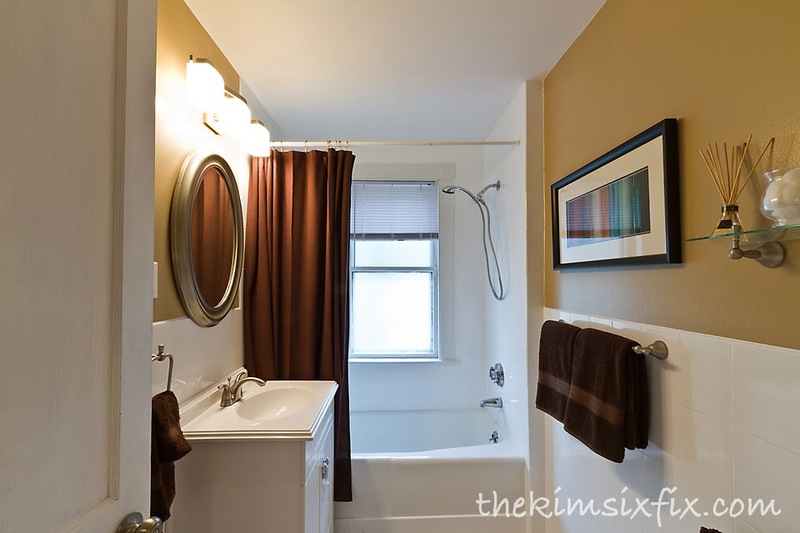 One of the most common things I have heard since doing my bathroom remodel is “How did you know where to start? I hate my bathroom but the options are overwhelming. I’m paralyzed with indecision. What if I screw it up?" I think that is a really hard problem for a lot of people. Especially people with tiny budgets, since you only have one shot at it. You want to really LOVE the finished product and you don’t want to make the wrong choices. 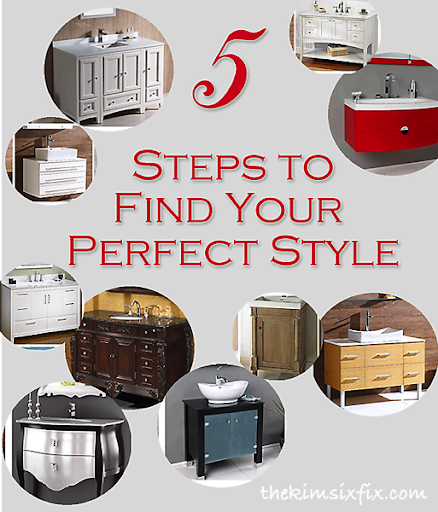 We aren’t professional designers or plumbers or contractors, and usually we can’t define our style much farther than “I’ll know it when I see it"
So today I thought I’d share MY process of how I make decisions when redoing my bathrooms and how I decide on what style I want. Step 1: DO YOU ACTUALLY WANT IT TO BE YOUR STYLE? What are your goals? Is this going to be your bathroom? A guest bathroom? A child’s bathroom? Are you going to live in your home for a long time or are you thinking you may soon sell it? Do you need it to have universal appeal or is going to be your private sanctuary? Does your house already have an overall style and therefore the bathroom needs to blend in or do you have carte blanche to do anything? Once you have figured out the rationale for choosing a style, it is time to actually define it. This may seem obvious, but if you can figure out what your style is, it is actually the majority of the battle. If you don’t know what your style is, look at the rest of your house. Look at the things you LOVE the most and figure out what they have in common. Figure out what it is that attracts you to those objects and what makes them similar. Open you closet and consider what you wear. Which color stands out? Is your wardrobe bright and bold or do you like khaki and black? Do you own anything that sparkles or would you never be caught dead in sequins? Are you vintage and shabby? Modern and sleek? Traditional and neutral? Eclectic and funky? Glitzy and Glamorous? THAT is your style. And your home should reflect that. Unless of course you decided in Step 1 that you need to reflect a style other than your own.. if this is the case look at what defines THAT style. If you are selling a house which style is the most neutral and has the largest mass appeal? If the room is for children, what would appeal most to them? Will it grow with them or will it be quickly outdated? Does the rest of your home already feature a certain color palette or reflect a certain type of architecture? When defining your style, it is often helpful to look at a wide range of styles and use your initial gut reactions to be a barometer of what does and does not appeal to you, even if at first you aren’t sure why. For example, look at these 6 vanities. Without overly thinking, which one appeals to you most? Which one can you not imagine in your home? Those are the far ends of the spectrum. Now rate the rest from favorite to least favorite. What do the front runners have in common? What is unappealing about the others? And once again I am seeing a trend. Shaker style door, light counters, traditional pull knobs. I only like this one more than the oxford because of the open shelving at the bottom. Once you know your style, you just have to make sure you can integrate it into a functional space. Things like dimensions and practicality must play into your design decisions because remember.. YOU HAVE TO LIVE WITH YOUR DESIGN. In the case of a vanity does it need to be double sinks? What are the required dimensions? Consider all the practical things along with how it looks. DON’T EVER SACRIFICE FUNCTION! You should be able to incorporate your wants along with your needs. I hope I have inspired you today to really start thinking about your style. And if you have been putting off a bathroom redesign because you are worried about making the wrong choice, don’t worry anymore. If you are making choices based on what you love, then you will end up loving the end result.. since it will reflect YOU.